Be ready for any adventure, in this galaxy or the next! 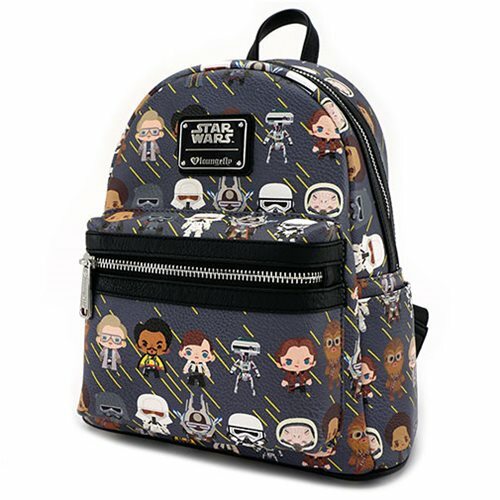 This Star Wars R2-D2 Applique Mini-Backpack includes shoulder straps, a top handle, front exterior zipped pocket, two side exterior pockets, a fully lined interior, and top zip closure. Measures approximately 9-inches X 10-inches X 4.5-inches.